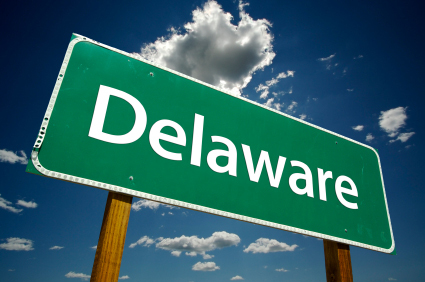 On June 24, 2015, Delaware Governor Markell signed Senate Bill Number 75 into law, amending the Delaware General Corporation Law, Title 8, Chapter 1, Sections 101-398. Section numbers cited below refer to sections in the Delaware General Corporation Law, unless otherwise indicated. Most of the bill is effective on August 1, 2015. Section 15 of the bill became effective immediately. Sections 1 through 7, 10 through 12 and 14 are effective on August 1, 2015. Other conditional effective date provisions apply to Sections 8, 9, and 13 of the bill. Stockholder liability: A new Section 102(f) is added and Section 109(b) is amended to provide that the Certificate of Incorporation/ bylaws may not contain any provision that would impose liability on a stockholder for the attorneys' fees or expenses of the corporation or any other party in connection with an internal corporate claim, as defined in Section 115 of this title (see below). Forum selection provisions: A new Section 115 is added to provide that the Certificate of Incorporation or the bylaws may require, consistent with applicable jurisdictional requirements, that any or all internal corporate claims shall be brought solely and exclusively in any or all of the courts in this state, and no provision of the Certificate of Incorporation or the bylaws may prohibit bringing such claims in the courts of this state. "Internal corporate claims" means claims, including claims in the right of the corporation, (i) that are based upon a violation of a duty by a current or former director or officer or stockholder in such capacity, or (ii) as to which this title confers jurisdiction upon the Court of Chancery. Certificates of Validation for defective corporate acts: Requirements for Certificates of Validation are clarified. Section 204(e) is amended to eliminate the requirement that board resolutions, which ratify a defective corporate act, be attached to a Certificate of Validation. Section 204 (e) is also amended to provide that a separate Certificate of Validation is required for each defective corporate act requiring the filing of a Certificate of Validation under this section, except that (i) two or more defective corporate acts may be included in a single Certificate of Validation if the corporation filed, or to comply with this title would have filed, a single certificate under another provision of this title to effect such acts, and (ii) two or more overissues of shares of any class, classes or series of stock may be included in a single Certificate of Validation, provided that the increase in the number of authorized shares of each such class or series set forth in the Certificate of Validation shall be effective as of the date of the first such overissue. Certificates are to be attached as exhibits in certain instances. For more details, click here to view the full text and synopsis of Senate Bill No. 75.